When you’re ready to feed your baby formula, either by completely switching from breast milk or to supplement breastfeeding, you will be awash with the brands and varieties of milk powder available. Given how important our diets are, especially to a developing baby would it be more discerning for parents to look at organic options? The vast majority of baby milk formula options available on the market are non-organic, which means they could potentially include worrying chemicals such as preservatives, corn syrup solids, and artificial flavors, colors or sweeteners that you certainly would want to avoid as studies have shown an inconclusive potential to exacerbate hyperactivity in kids or affect a child’s health; a potential that’s not worth the risk. It’s no wonder why organic baby formulas are becoming increasingly popular today for parents as they can provide a healthier diet to their infants consisting of a high nutritional value which supports an improved development whilst also avoiding those chemical nasties mentioned above. It’s also sometimes thought of as being closest to breastmilk. Happy Baby is a popular brand of baby formula, they are very clear about what their product contains, simulate breast milk as much as possible and you can just tell babies find this formula delicious. It uses organic lactose as a sweetening ingredient which is sourced from organic dairy farms located in Vermont; it’s great to support local industries and to top it off are USDA certified. This formula comes in two stages with varying nutritional benefits based on what is optimal for your child’s age. Stage one is designed to be used up until the first year of your baby’s life but you can switch to stage 2 from six months which has increased choline, beneficial for supporting eye and brain development. Additional nutritional benefits come with this milk formula as it is packed with essentials such as Calcium, Vitamin D, Iron, Zinc, and Choline all recommended vitamins and minerals for a growing baby which are found in breast milk. Another great formula which parents recommend as it’s nourishing for their 0-12 month year babies, great value for money and organic. This product is USDA and non-GMO approved and so only organic products are included in the ingredients of the product. A great benefit to choosing this product is that Plum Organics ensure they do not use products derived from rBST livestock, which means that the cattle farms they choose have no rare or native livestock in agricultural use. This formula is a great source of essentials; proteins, carbohydrates, and nutrients which all emulate the same constituents in breast milk to give the baby all that they need for growth. Mothers say they’re children really get tucked into this formula but you may want to be made aware of the use of soy in this product. The Honest Co. Organic Premium Infant Formula is fantastic for it’s dedication to ensuring a high quality and nourishing formula for your child which is also organic. USDA and non-GMO labels can be seen clearly on the pleasant looking package design, this formula is certainly honest about what it contains and what it does not. The formula does not contain DHA which is perfect for parents concerned about how the extraction of the amino acid is a chemical process. The Honest Co. has a high standard regarding the chemical extraction method and has chosen not to include DHA in the product so that parents can have this choice. Critical to development; proteins, carbohydrates, fats, vitamins, and minerals are all included in this formula to give the infant a balanced diet and yummy meals. A formulated milk designed to support the development of a growing child between 12 and 24 months old, Happy Tot Organic Toddler Milk is definitely a fave amongst parents and toddlers. This formula is a vital source of proteins, carbohydrates, and fats for growth and immune system development with added choline on top. It also provides a daily 35% of calcium and 20% of iron intake and also contains DHA and ARA for ocular and brain health. This product is perfect for when you are weening your toddler off of milk and are moving on to a combination diet of baby food and semi-solid food with fruit, vegetables, grains and other nutritional foods recommended for a healthy diet and if you are considering baby food products, it’s worth checking out our article for some useful information. This is a very popular infant milk powder which parents generally swear by as being high quality and highly nutritional. This great value for money organic baby formula has convenient size and bulk combinations, you can get 23.2-ounce or 35-ounce tubs singular or as a pack of four, buying the larger amounts is much better value for money. This selection also has an amazing range of organic baby formulas including Organic Dairy, Organic Dairy non-DHA, Sensitivity (less lactose) and Non-GMO Soy and this allows you to really get an idea of what you want out of the formula milk. Omega-3 DHA and Omega-6 ARA fatty acids are also added into the formula as they are naturally present in breast milk and are found to support the nervous system and eye development in young babies. Organic formula products are well thought out from the very initial stages of their production when sourcing the ingredients and have to pass a heap of bureaucracy with certifications and inspections before they can hit the shelves. Ingredients within the best organic baby formulas are sourced from farms which utilize an organic approach; refraining from using pesticides, fungicides and other harmful agricultural bi-products which can find their way into food. Crops, livestock feed, and the livestock themselves are required to not have been genetically modified (GMO) before being used. The milk obtained from organically fed cattle that are not dosed with artificial growth hormones or antibiotics stop these chemicals being passed from the animals into the resulting formula therefor preventing your child from being exposed through their diet. ⦁ Refined Sugars: There is no use of refined sugars that are found in standard baby milk formula as the manufacturers use it to simulate sugars found in breast milk. Corn Syrup, Sugar, Brown Rice Syrup, Maltodextrin are common suspects found in standard formulas which are harmful to your child’s health. ⦁ Palm Oil: Another ingredient which is found in non-organic formula, it causes problems as babies are unable to digest the palm oil effectively, it then build up in the intestines. Palm oil is usually added because it simulated a composite of breast milk called palmitic acid. ⦁ Carrageenan: This ingredient with its very strange name has been indicated to have some serious consequences when digested: ulcers, stomach inflammation, and even tumors are thought to be a result. ⦁ Synthetic Preservatives: They are very widely added to standard baby formulas to preserve the other ingredients. A couple of examples of these are Ascorbic palmitate and Beta-carotene, they both can be toxic and many parents would rather not take the risk. 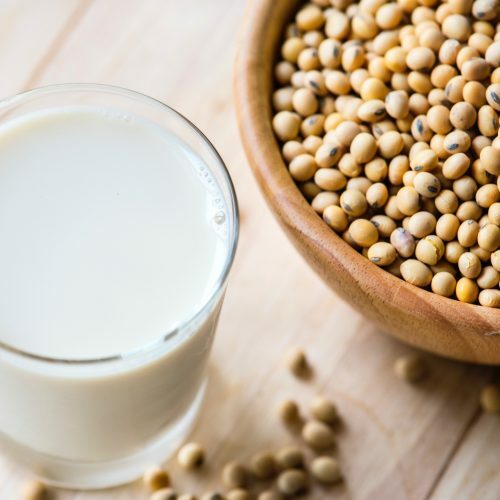 ⦁ Soy: More research is needed to go into whether soy is actually or harmful or not and the extent, but it’s worth being aware of the risks about especially due to it seeming like a great milk alternative for vegans and lactose intolerant. In general, babies should not be ingesting soy as the multitude of health problems associated with it, including damaged sexual development, are just not worth gambling with. ⦁ DHA and ARA: Docosahexaenoic acid (DHA) and Arachidonic acid (ARA) are as well as being a mouthful to pronounce, both examples of chemicals that are commonly found in baby formulas and are selectively removed from some products. Parents may prefer an option without these artificial fatty acids as it has been indicated they may contain hexanes which can cause many problems even though it has also been shown DHA’s and ARA’s are beneficial to a child’s brain and eye development. With a vast array of options which have variable ingredients either added into them or removed from them, there are choices which aim to support your babies development whilst giving some peace of mind that they’re consuming a healthier option. The organic formula market is not extensive but there is indeed a healthy range between them and so the best organic formula will depend on your own preferences, concerns, and budget. Pay close attention to the nutritional information on the labeling of the organic milk powder you choose to buy and make sure to always take note of manufacturers recommendations and always question them yourself if you’re not sure. It’s a personal preference, but parents would normally recommend purchasing your chosen baby formula in bulk, it’s especially convenient when you order online as bulk options are available on some products and you don’t have to carry it. It just reduces the number of orders you have to make and you’re less likely to run out and it’s a lot better value for money as savings can be made! As mentioned above, organic formula manufacturers will have to pass investigation by certain organizations for their products to be certified and sold as well as standard food regulatory bodies such as the FDA. ⦁ USDA Certification: The United States Department of Agriculture is responsible for regulating the organic food industry in America. ⦁ Non-GMO Certification: A non-profit organization who are dedicated to preserving a non-GMA food source. ⦁ GFCO Certification: An organization who regulate and label the presence of gluten in products for people who choose a gluten-free lifestyle or have diseases such as celiacs disease. You have probably found that commonly concerning ingredients of baby formulas, especially those that are organic are DHA and ARA. The chemical extraction using hexanes on the algae and fungi from which the amino acids are sourced leads to the potential of hexane being present in the formula and this is what leads to parents questioning whether they want them included in the formula. Let us know what you think, is the addition of DHA and ARA into baby formula a good idea given the current extraction method? and would you seek to use it in the future if better methods were developed? You may find BPA free formula dispensers of interest too. Leave a comment below, we would love to hear your thoughts on this issue.